Akin to Joseph Cornell’s boxed curiosities, open containers for his various obsessions, Daria Martin’s films meticulously assemble a selection of impulses, scholarly research and daydreams. Her early films were like shabby Gesamtkunstwerks, staging relationships between sculpture, performance, dance and music, to quote the idealism of Bauhaus-era attempts to combine art forms, engaging with past dialogues of aspiration and failure. Yet the exaggerated artifice of Martin’s DIY costumes draws attention to the fantasy world that her work assembles; hand-crafted sets comprise painted cardboard and Perspex (the artist has described her films as ‘magic acts that show how the trick is done’). The reality behind the seductive illusion is always insisted upon, as is the romance of Modernism. In the Palace (2000), the first in a trilogy of short films, has a stage design derived from Alberto Giacometti’s 1932 sculpture, The Palace at 4am, slumbering forms apparently reanimating the Surrealist abstraction. Martin’s films are just as much about the creation and physical limitations of illusion as about the illusion itself. In deciding to work with film, despite having originally trained as a painter, she has chosen a medium in which the mechanics of illusion can be both teased out and concealed. Celluloid itself is, after all, only a trick of the light. 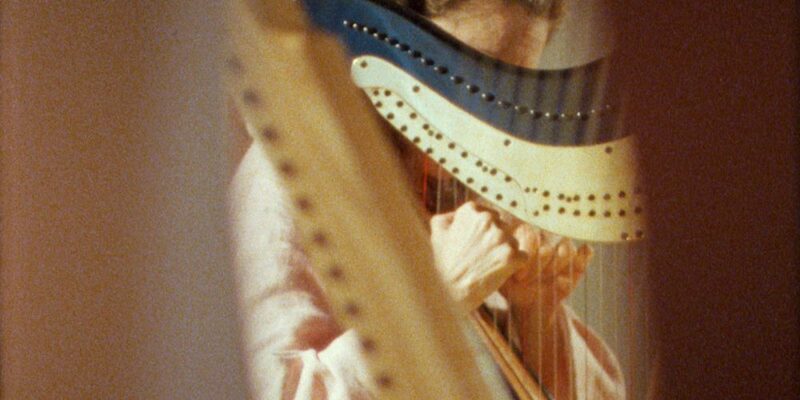 In 2007, Outset facilitated the production of an ambitious short film, Harpstrings and Lava (2007), which was premiered at Performa 07, the second visual art performance biennial in New York.